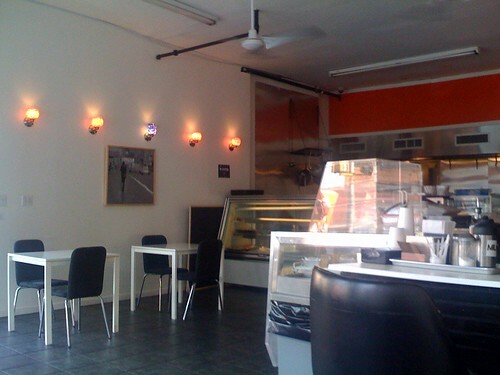 Manna is located at Grand Street and Lorimer and serves Middle Eastern food. The main draw to me is that fact that it's open 24/7 which in itself is a selling point since Uncle Mina retired and Kellogg's Diner is on hiatus. As a vegetarian I like the fact that they have plenty of choices for me on the menu — their platters are the best thing to order. The baba ghanoush, tabouli and falafel are good bets, although I've had mixed results with the hummus so far. I'm also not impressed with the quality of the pita bread, they don't have whole wheat and my thinking is that even if the pita is average heating it up helps. In terms of service is pretty good and the place is clean, although the only problem during the Summer months is a lack of air conditioning (of course many folks do the take out thing). So for me right now Manna is my default destination after hours when I'm hungry and looking for something healthy. Update from July 27th 2008: I went back and tried one of the desserts which was just amazing! The only problem was that the hipster behind the counter didn't know the name of the dessert (he also should have heated it up as well). 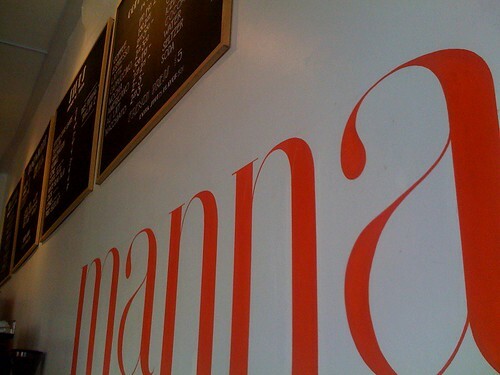 So if you're dropping in on Manna late at night give the desserts a shot. This page contains a single entry from the blog posted on July 20, 2008 7:44 PM. The previous post in this blog was My View of the Empire State Building. 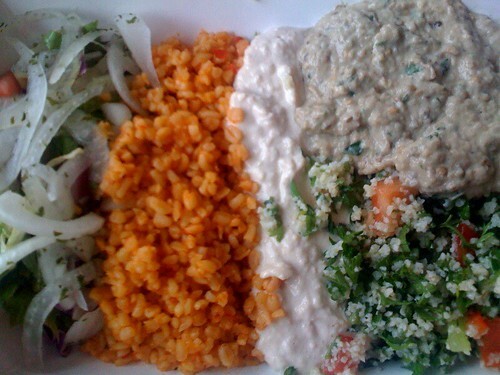 The next post in this blog is Foodswings: A Vegetarian Oasis.